Black. White. Asian. American Indian. Pacific Islander. For much of the nation’s history, America has discussed race in the singular form. But the language of race is changing. With the rise of interracial couples, combined with a more accepting society, America’s multiracial population has grown at three times the rate of the general population since the beginning of the millennium. 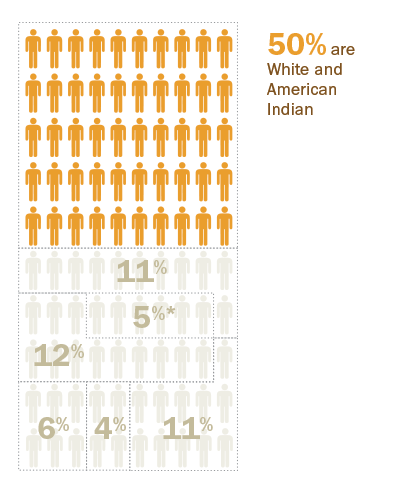 The U.S. Census Bureau says 2.1% of American adults check more than one race. Using a broader definition that factors in the racial backgrounds of parents and grandparents, a new Pew Research Center report finds that 6.9% of U.S. adults, or nearly 17 million, could be considered multiracial today. Made up of many different racial combinations, this group is by no means monolithic. The study finds multiracial adults have a broad range of attitudes and experiences that are rooted in the races that make up their background and how the world sees them. Intermarriage and the children of such marriages – particularly white and black – haven’t always been accepted by society. It was less than 50 years ago that the U.S. Supreme Court, in the case bearing the evocative title Loving v. Virginia, struck down laws prohibiting mixed-race marriages that had been in place in 16 states, all in the South. In 2013, 12% of new marriages were interracial, and today very few Americans see this as a bad thing for society. Multiracial Americans are no longer rare in number. They’re front and center in our culture – represented on television, in professional sports, in music and politics, even in the White House. Note: If a child has two parents who are of different races, or if at least one of the child's parents is multiracial, the child is identified as multiracial. Source: Pew Research Center tabulations of the 1970, 1980, 1990 and 2000 censuses and 2010 and 2013 American Community Survey (IPUMS). To catch a glimpse of America’s future, take a look at the stroller set. More than 40 years ago, only one of every 100 babies younger than 1 year old and living with two parents was multiracial. By 2013, it was one-in-ten. If current trends continue – and evidence suggests they may accelerate – the Census Bureau projects that the multiracial population will triple by 2060. 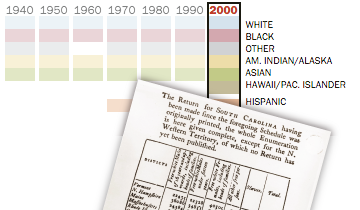 Since the first U.S. census in 1790, the government has included race to describe the population. But the ways in which race is asked about and classified have changed from census to census, as the politics and science of race have fluctuated. This evolution reflects the central role of slavery in America’s past and the arrival of different immigrant groups, as well as changing social norms. It wasn’t until 1960 that Americans were allowed to identify their own race on the census form. Before then, census-takers determined the race of those they counted. And it wasn’t until 2000 that the census allowed people to check more than one race. They are young, proud and tolerant of other cultures. A majority of them say they have been subject to slurs or jokes about their racial background at some point in their lives. Yet far more also see their racial makeup as an advantage than as a disadvantage in life. A majority of multiracial adults – 60% – say they are proud of their racial background. Among them, there’s a wide range of racial identity. About six-in-ten adults who have a mixed racial background say they do not see themselves as “mixed race or multiracial.” When asked why they don’t identify as multiracial, some say they were raised only as a single race, and others say they physically look like a certain race. Note: Multiracial adults are two or more races (based on backgrounds of self, parents or grandparents). Multiracial subgroups and “some other combination” are non-Hispanic and mutually exclusive. 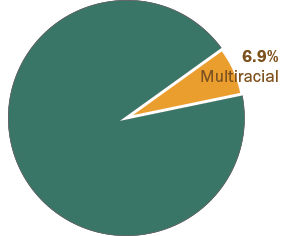 The multiracial Hispanic subgroup includes Hispanics who are also any two or more races. *Multiracial subgroups may not add to 100% because of rounding. White and black biracial Americans are three times more likely to say they have a lot in common with people who are black than people who are white. But white and Asian Americans say they have more in common with people who are white than people who are Asian. Likewise, among multiracial adults, there’s a spectrum of experiences with discrimination. For example, Americans who are white and black or black and American Indian are far more likely to say they have been unfairly stopped by police or have received poor service at a restaurant or other businesses than Americans who are white and Asian or white and American Indian. But multiracial Americans share some common views. About six-in-ten multiracial Americans say their racial heritage has made them more open to other cultures, and 55% say it has made them more understanding of people of different racial backgrounds. They are also more likely than other Americans to have friends or be married to other multiracial people. Only a few feel ashamed of their racial background or see it as a liability. 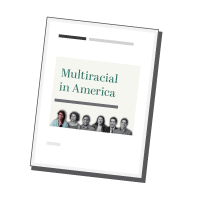 In fact, about four times as many say being multiracial has been an advantage rather than a disadvantage in their life; but most say it hasn’t made a difference. Click on a person below to reveal his or her quote. In America, race matters. It has mattered and it still matters. It’s important to recognize it and figure out how does that work for you in the sense of, not getting an edge, but appreciate the different cultural expectations, stereotypes, barriers, and to try and overcome those. Move through them and change them or disprove them. For me, that’s the takeaway.